Before you begin wearing any of your gems, you should cleanse them thoroughly. Cleansing is a very important process of preparing your gems – be they precious or semi-precious – before using them for healing purposes. And I don’t mean just washing them with soap and water. 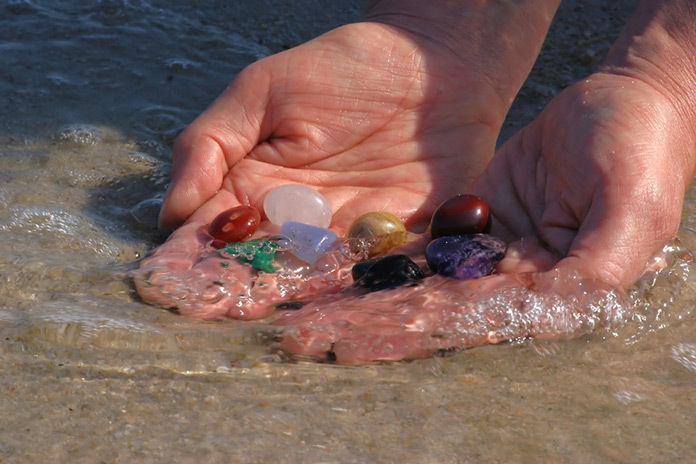 You do not know where your gems had been before they got to your hands so it is very important to cleanse them of any negative energy that might have become attached to them. The following are six methods you can employ to cleanse your gems. Any one of these methods works as well as the others. You can choose to use either one method you feel most comfortable with, or even a combination of two or more. Leave your gems under running water for six to seven hours. This method is one of the easiest and requires very little effort. Running water is, essentially, a very powerful method of cleansing. Bury your gems in some earth overnight. Come morning, rinse them off thoroughly. This method will work well for those who have a nice patch of garden with lots of rich soil. Hold your gem in the flame of a candle. Keep it in the flame until the candle melts away. The powerful cleansing properties of fire will help to clear all negative energy. Place your gem amongst a heap of quartz for several days. This method revives the inherent energy of your gem through contact with the quartz. 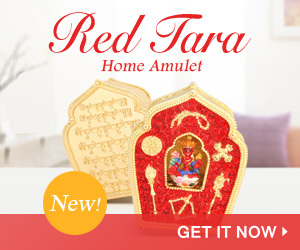 In addition to the other five methods of cleansing, all gems – with the exception of red coral and ruby – should be immersed in raw milk for at least three hours to remove all impurities. Substitute with soapy water for your red coral, and put your ruby in lemon juice. Remember to keep your gem completely immersed for at least three hours, whatever the case. This method will effectively draw out all the impurities present in your gem and dissolve them altogether. Whatever the combination of methods you choose to apply, it is good practice to include both methods 5 & 6. Combined with any of the first four methods, the last two will ensure you’re your gems are completely “clean”.